Hello! 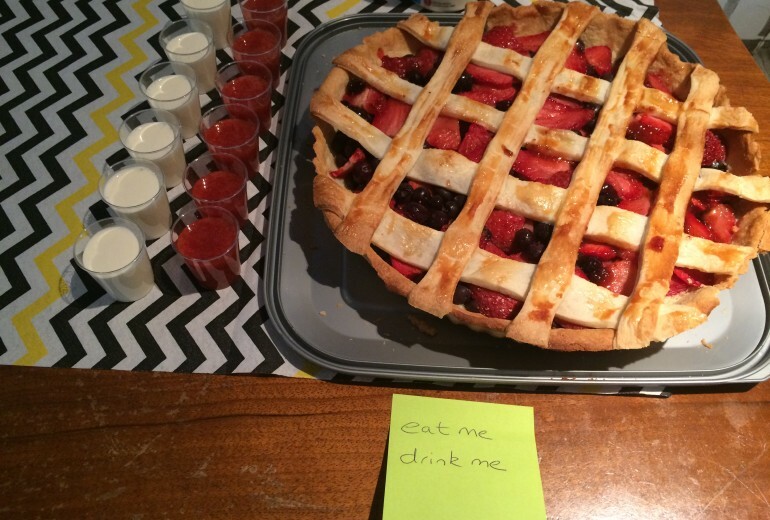 You’ve made it to this blog post so you must be interested in pie, well done! 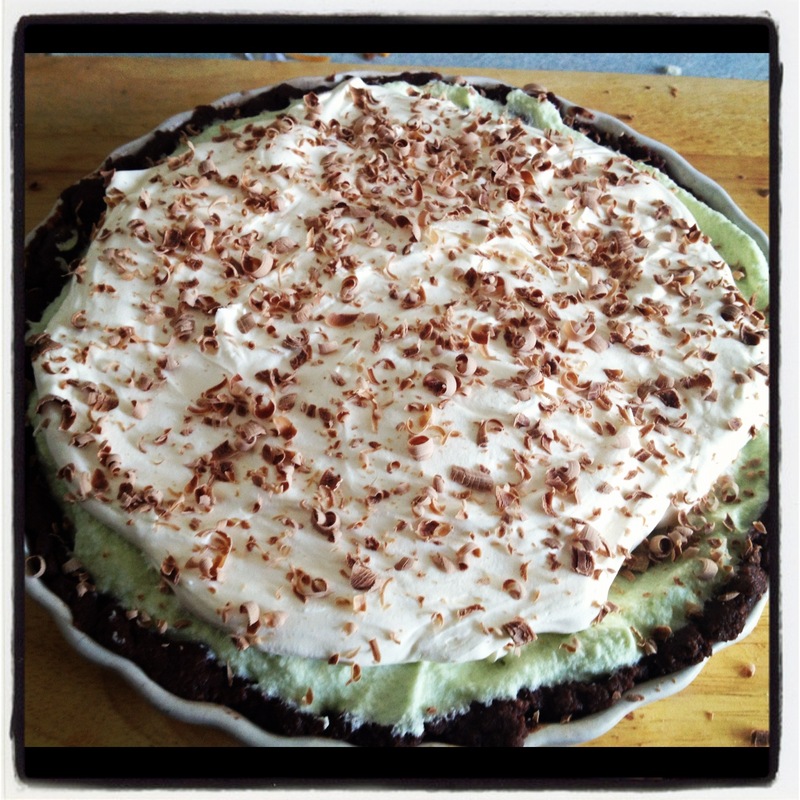 The blog will be updated with everything from news about events to recipes, and with recipes in mind, here is one of High Pie’s personal favourites, The Grasshopper Pie…enjoy! As much chocolate as you like to grate on top! Use a food processor or similar to crush all the bourbons and penguins together. Slowly melt the butter and pour into the crushed biscuits but watch out, sometimes not all the butter is needed. You don’t want a loose mixture! Spread the mixture into a pie/flan dish, pushing the mix up the sides to make a crust. Refrigerate for at least 30 minutes until hard. While the base is cooling, place the marshmallows and milk in a pan and slowly melt, stirring all the time. DO NOT BOIL! 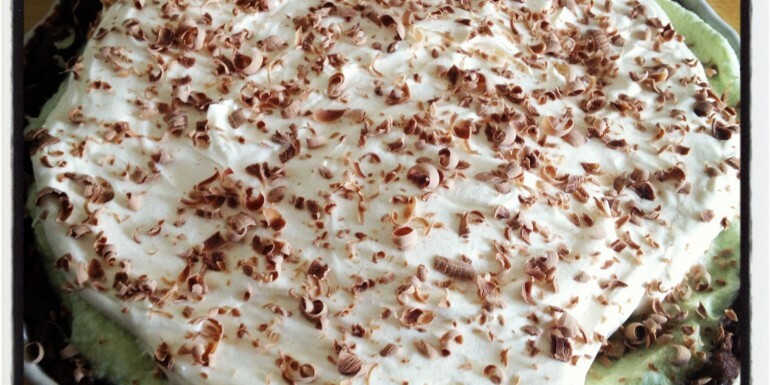 While the marshmallows are resting, whip the double cream until it’s thickened and lovely and soft with little peaks. Fold the whipped cream into the slightly cooled melted marshmallow goodness and spread over the chilled base. Place in the fridge for at least 4 hours or overnight. Spread this over the top of the pie and grate some chocolate over the top to garnish. Now slice into generous portions and enjoy!